Today, we put away the bassinet. The bassinet that has held each of my children while they slept their first few precious months of life. The bassinet that in the middle of the night I would often get up to peek in, to make sure their little chests were still rising and falling. The bassinet that in the early morning hours, I would love to see a little fist pumping up in the air or a peek of a tiny toe. 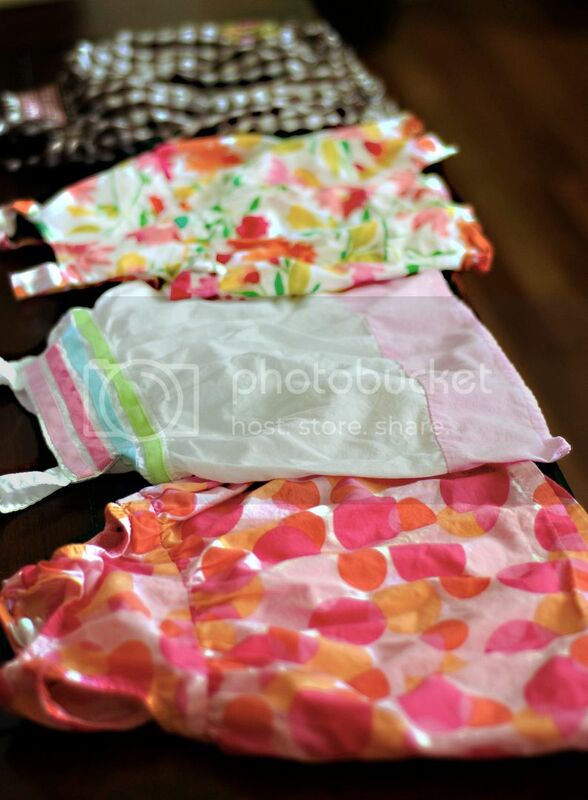 0-3 month old baby clothes were gone through… I held back for safe keeping those outfits that conjure up special memories. The first real outfit Leah wore… the little sleeper sack from her first night at home as well as the tiny newborn sleeper, softer than any fabric I have ever felt, that my nephew and neice wore as well as all four of my kids. It is hard for me to believe this chapter of my life is over. The chapter of new baby smells, giving birth, holding my newborn for the first time and introducing her to the world. I can’t say that I am happy about it at all as I wish this stage would last a lifetime, but I am excited to see how our family grows as a unit now that we are whole. I can’t wait to see what the next chapter will hold for us. I’m sure things just as wonderful. Very sweet, Kristen. It makes me both excited for motherhood and nostalgic for my childhood. I am going through the same thing. Today I sold our swing, next up is our bassinet. It really tugs at your heart to let those things go. How bittersweet it must feel, but after it’s all said and done, look at the beautiful family of people you’ve added to this society!! You’re such a great mom! It is so bittesweet isn’t it? We are in a similar boat. Love, Love, Love babies, but with four, we are done as well, and we feel complete. But every once in awhile, I think I will miss the baby days! So bittersweet. It goes by too quickly. Goes very fast. You make perfect kids! That sleeper–how cool that it has been through all our kids. With the oldest in high school and the youngest just out of the bassinet . . . pretty neat. Love you! Awww that is a really sweet post! It seems like just yesterday you had her. It goes by so fast doesn’t it? I think it is so neat that while you are feeling nostalgic about the passing of this phase, your sister is talking about her baby being a senior in high school, and your other sister is commenting about the shared sleeper. All these are just passages and life is full of them, isn’t it?